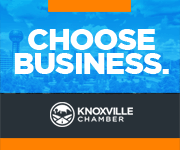 Make the most of March through a Chamber membership! Member businesses receive an unparalleled networking opportunities, an affordable marketing platform, access to resources that benefit the bottom line and until March 31 the chance to win a trip on Allegiant Airlines. Click HERE for official rules. Click here to learn more about membership levels and benefits.